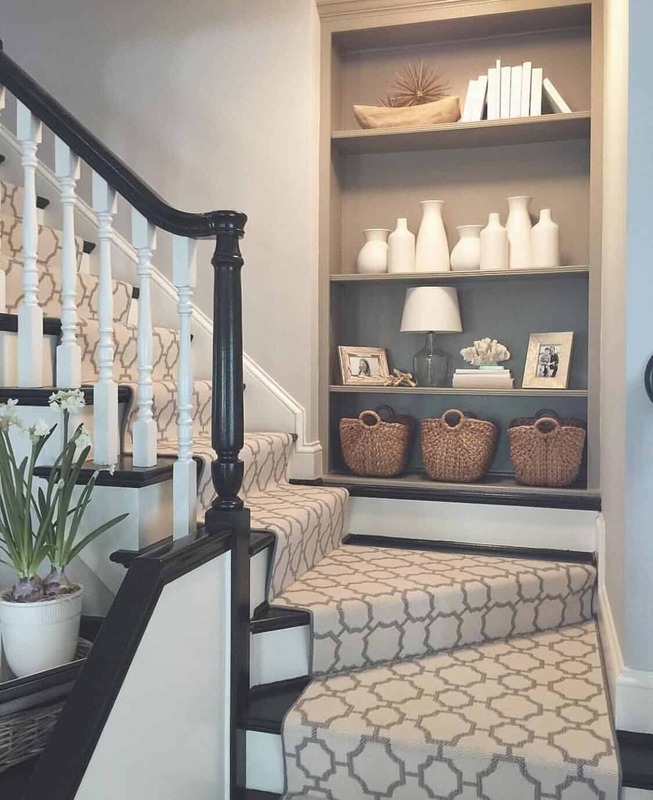 Even though staircases are typically a means to get around the home, they should never be overlooked as an opportunity to decorate and inject with personal style. Whether you decide to add a colorful gallery wall or a unique reading nook, staircase designs can transform a rather ordinary space into extraordinary. 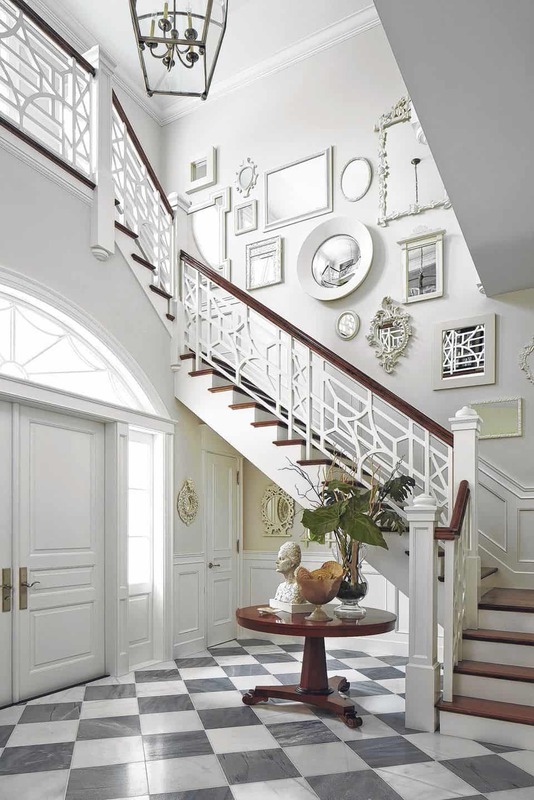 Take a look at some of our favorite staircase decorating ideas. 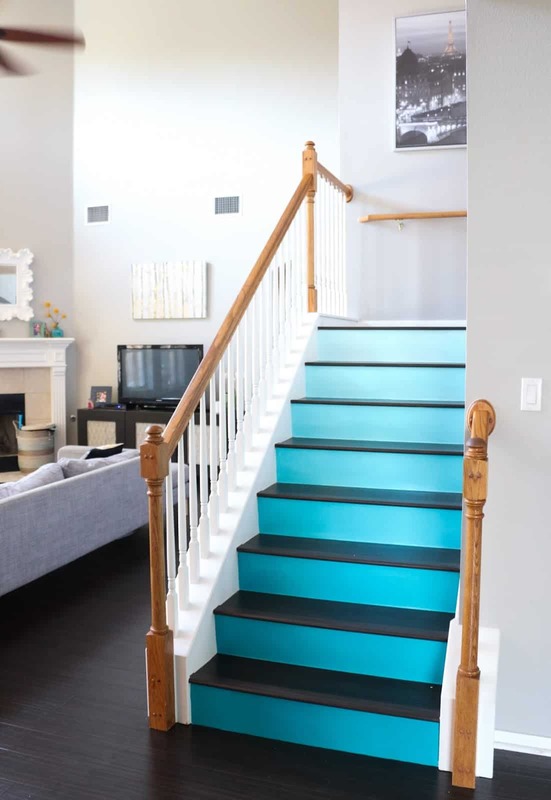 Even when you have a neutral space, bold colorful stairs are the perfect addition. For a modern touch paint your staircase in an ombre format. Its contemporary, it’s unique and its bright the perfect blend for a beautiful display. 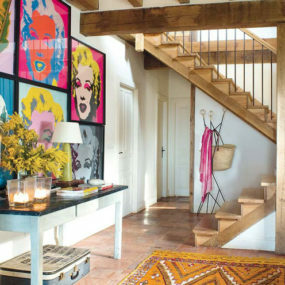 Take a hint from other colorful areas in your home and add a colorful touch to your stairways. Consider painting your staircase wall a bold hue and pairing it with neutral tones. This can be done by using a patterned runner that brings the area a unique touch. If you decide to stick to a traditional staircase, adding a unique light fixture with completely transform the area. 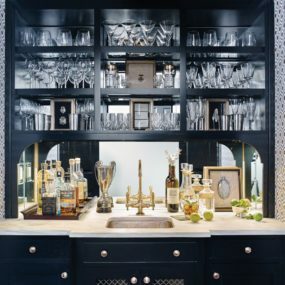 You want to create a unique space that has that still has that signature element. Everything modern is currently in, and we are enjoying it very much. Add a daring light fixture for that modern touch that brightens the room. 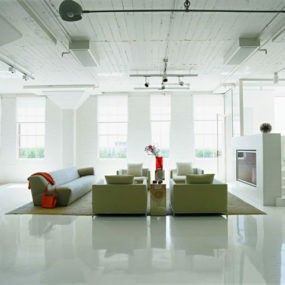 You want the space to radiate contemporary yet feel part of your décor. You may even want to consider adding a daring painting along the way. Nautical decor is always a top favorite for us, due to how textured it can be. Add a woven texture runner and pair it with other woven bits for that classic nautical touch. Make sure there are hints of blue to further enhance the nautical feel in the room. Nautical detailing is one of our favorites because of how simple yet noticeable it can be. Use rich shades of navy and pair with beige, white or even hints of neutral. The pairing will help bring vitality to that specific area in your home. 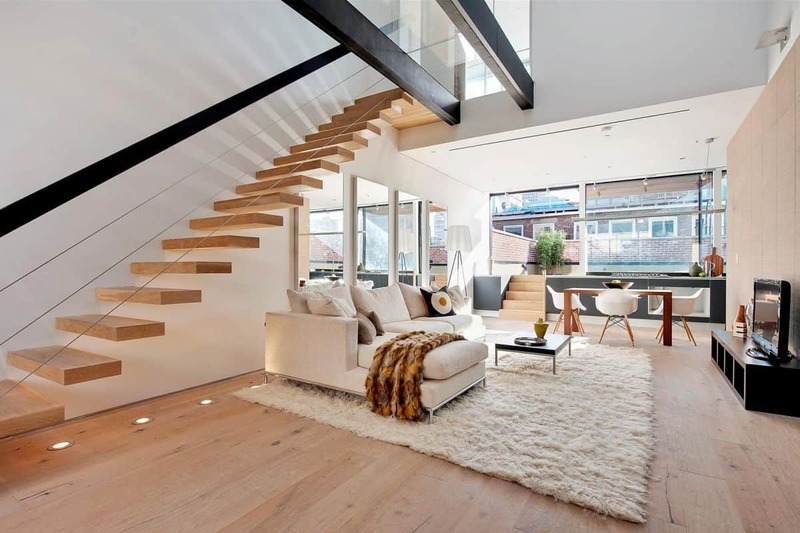 We love the look and contrast of a floating staircase. Not only do the stairs appear more modern but when paired with dark wood it comes to life in a different manner. Use blond wood for the perfect pairing hue. Blond wood plays well with almost every color. One of the easiest ways to update your staircase is by changing your wood. Use a lighter wood with less texture and place it in a format that has a bit of spacing. 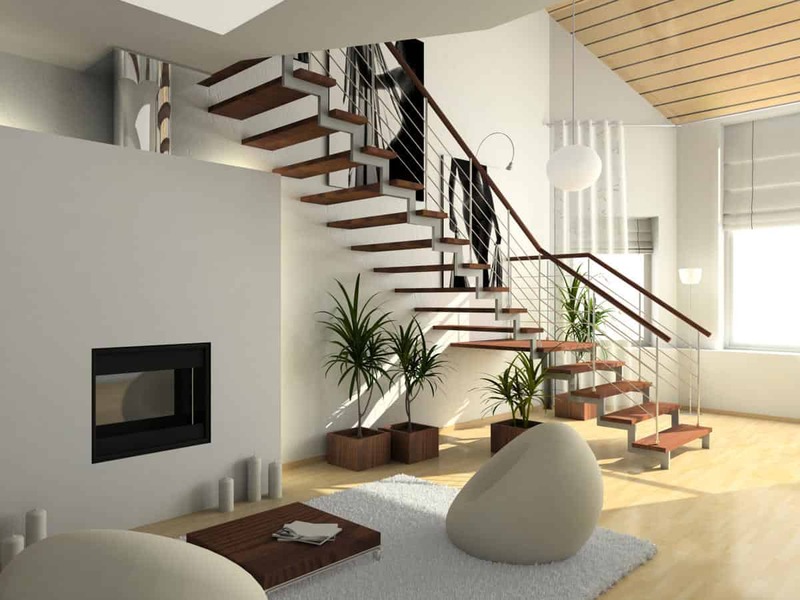 A floating staircase allows you to use less wood yet have a trendy twist. 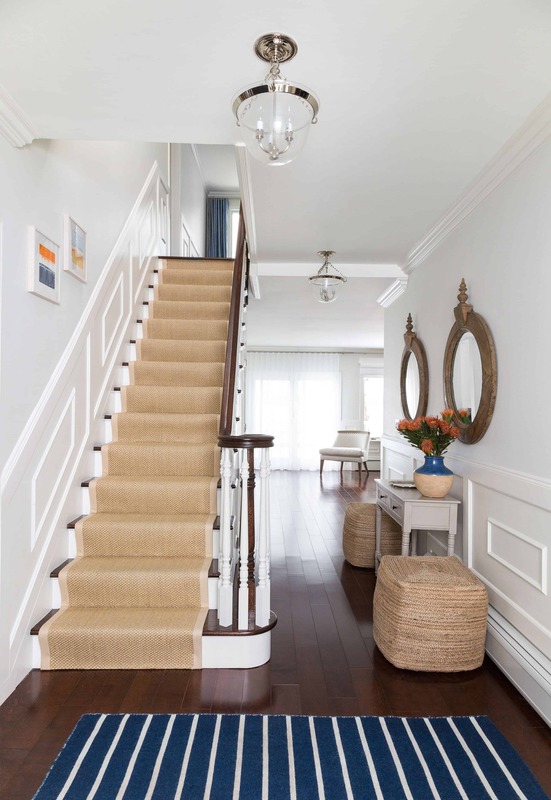 Keep the stairs clean without a runner for an even bold appeal. Whether you decide to add color by adding a patterned pillow or by displaying colorful trinkets. 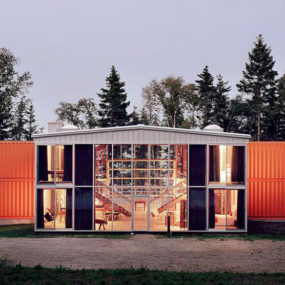 The idea is to have those colors become the signature, a main focus of the space. You want those colors to become the direct focus of the room and for the white stairs to be the complementary bit. For a simple yet creative touch paint your staircase white and embellish the lower portion with daring color and/or pattern. Doing so will brighten the area while giving you that signature pop of color that draws the eye immediately. 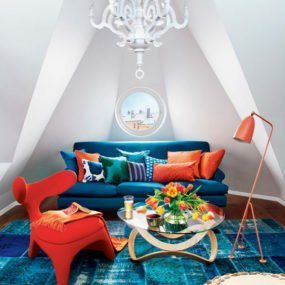 Consider having a chair or two with a patterned cushion for that vivid pop of color. You do not need to have numerous different plants as part of your decor instead, have a few signature ones to make that ideal statement. Read up on Feng Sui to place your plants in the utmost ideal places to make your home feel welcoming and calming. 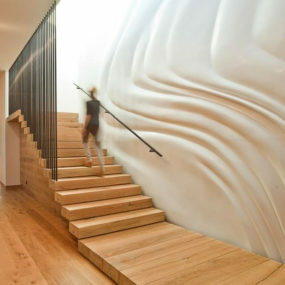 What better way to incorporate nature then by display a few intricate plans either directly on the stairs or near them. Having this classic display of plants brightens the space while adding color. It’s the perfect way to bring color to an area without adding excessive décor. A built-in nook is a great idea for those that want that extra space to display their favorite objects. Additionally, its a beautiful way of having the best of both worlds easily at hand at any moment. A built-in nook is a perfect way to display your favorite trinkets and/or beautiful family pictures. Furthermore, its an excellent way of having a custom piece that stands out from the rest. Plan to add intricate touches that will make you excited about having this new intricate area. Whether you decide to have an additional bench or a custom bench that is apart of your staircase the options are endless. You want your bench to add to your seating without taking away from your decor. 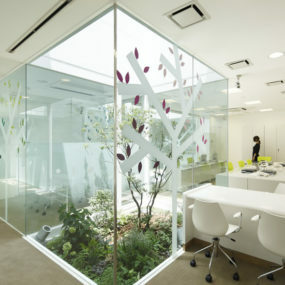 The idea is to create a seamless blend in the room. For that chic appeal add a bench. This is the perfect way of having that cozy element without supplementary décor. Additionally, add a few throw pillows and/or a table creates a reading nook type of aesthetic that is always charming and appealing. Having the luxury to have window seating is perfect for those that want a reading nook with an even better view. Add cozy seating with throw pillows, blankets and all. 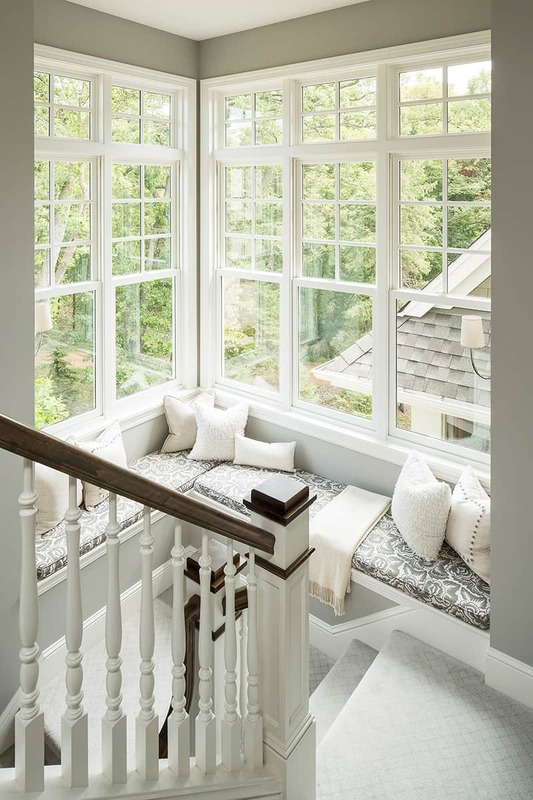 If you are lucky enough to have a large window seating as part of your staircase, take full advantage! Think of it as the best window in the house, it’s spacious, it’s airy, and it allows you to take your imagination elsewhere as you can add fun bits to make a personalized beautiful space. Mixing in textures is a great way to bring attention to your staircase. 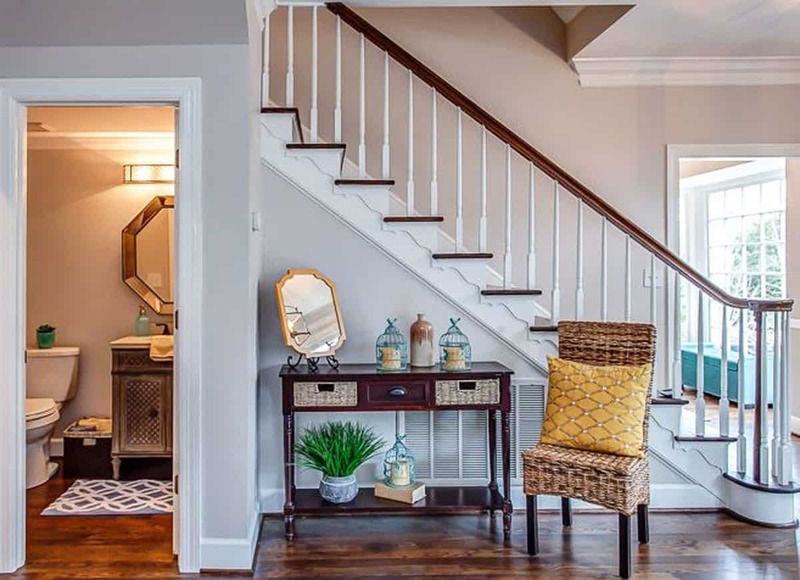 Pair with similar colors and an array of mirrors to bring an open floor plan feel to your staircase. Pair with little to no color to allow the mirrors to make their main focus. 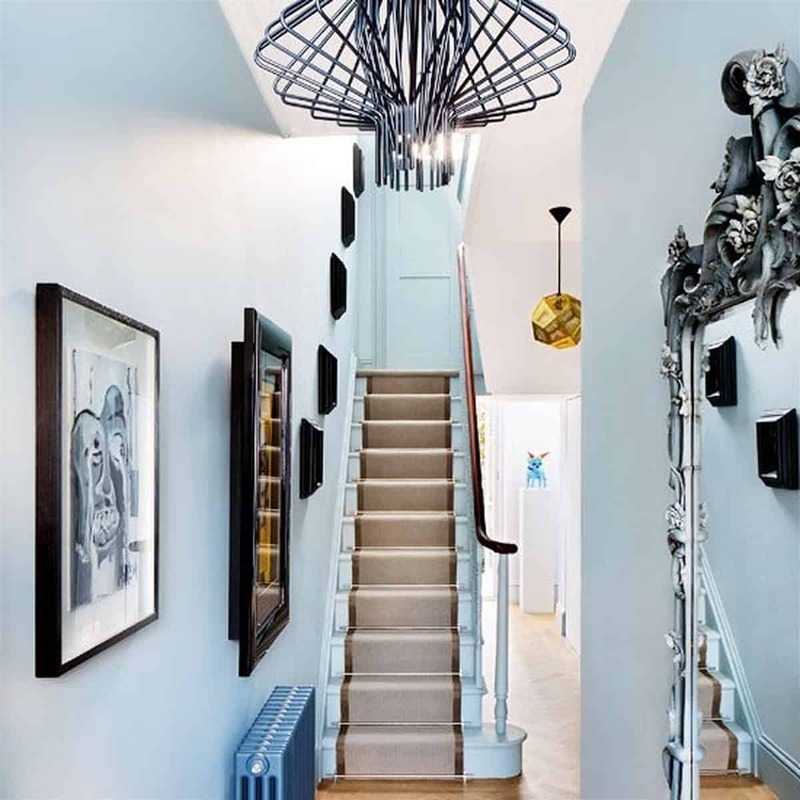 There’s nothing grander for a staircase then to mix in textures that normally won’t work well together yet appear beautiful displayed as part of your staircase. Add a textured photo, a few mirrors or other textured bits to bring that bold texture. How do you decorate your staircase? Share with us your ideas below.